Sacramento, CA – Peach Tree Health, a network of Federally Qualified Health Centers (FGHC) that began 25 years ago as one county clinic, has opened a new site in North Sacramento. This location will focus on providing access to primary care, “immediate care” and integrated vision services. 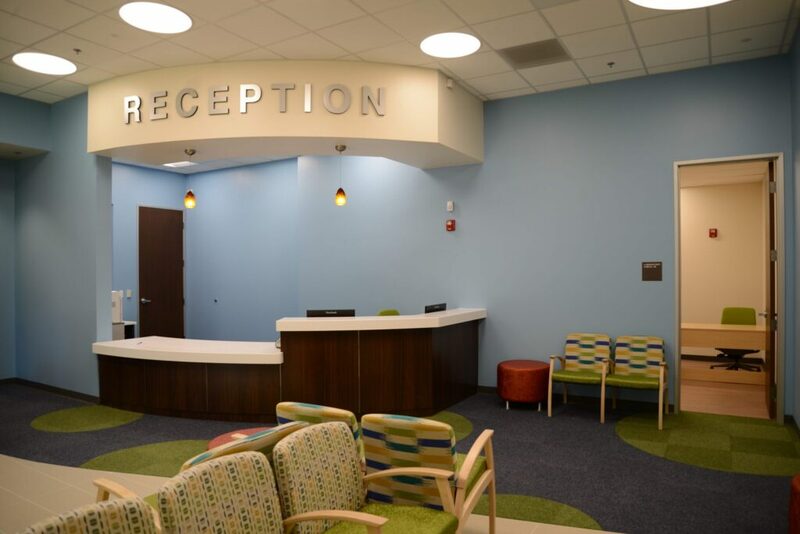 For a community with limited access to affordable health care, this new Peach Tree Health location is a welcome addition, especially for patients with Medi-Cal, Medi-Care or lacking health insurance altogether. “Immediate care” is an innovative model that that is similar to urgent care, but with key differences. The public tends to associate the term “urgent care” with long waits. The Immediate Care service at Peach Tree Health’s North Sacramento location provides walk-in access seven days a week, extended weekend hours, and is staffed by providers who see patients for conditions that are urgent but not life-threatening. The immediate care model was first introduced and refined at Peach Tree Health’s Marysville location. Immediate care is not the only feature that distinguishes Peach Tree Health. Its vision care is an offering unique among most community health clinics, and it offers eyeglasses at a cost even lower than outlets such as WalMart. The interior space is fresh and bright with state of the art equipment and technology. The locations at Midtown, Norwood and Yuba City are all slated for remodeling to match North Sacramento’s bright, cheery atmosphere. This new Peach Tree Health site is the result of collaboration with Dignity Health, which provided a $2.5 million grant and staff expertise to assist in the transition. The North Sacramento location will be Peach Tree Health’s third in Sacramento County (complementing Midtown and Norwood) and eighth in total. care to our whole community, regardless of their ability to pay. We are here to keep our neighbors healthy and our community growing,” Stone added. The medical staff at North Sacramento includes Spanish and Russian language speakers. The new location will be launched with a ribbon cutting ceremony and grand opening celebration on Wednesday, August 10, 2016 at 5:30 p.m. You can RSVP to attend the Grand Opening Celebration here. Since 2001, Peach Tree Health has been a Federally Qualified Health Center and provides comprehensive medical, dental, vision and behavioral health services for people of all ages in the Northern California counties of Sacramento, Sutter and Yuba. Peach Tree Health operates eight health centers and two mobile dental clinics that serve over 27,000 patients through almost 90,000 visits. Peach Tree’s services target the uninsured and underserved families throughout the region. More at pickpeach.org.